"Americal" 23rd Infantry Div. - 4th Infantry Div. "I, Paul Dufault, do solemnly swear that I will support and defend the Constitution of the United States against all enemies, foreign and domestic; that I will bear true faith and allegiance to the same; and that I will obey the orders of the President of the United States and the orders of the officers appointed over me, according to regulations and the Uniform Code of Military Justice. So help me God." 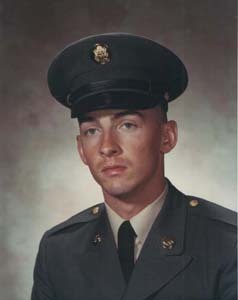 In August 1968 in Grand Forks, North Dakota, Paul Dufault began enlistment procedures in the Armed Forces of The United States of America. In February 1969, he was issued a US Visa and in Fargo, ND was sworn in the US Army for a 3-year enlistment period. Paul under took basic training in Fort Lewis, Washington and earned the Rifle "Sharpshooter" Badge. He then proceeded to Fort Gordon, Georgia for advance training. His military "orders" were issued for Germany and served 1-year in Kaiserslautern and Mannheim. While in Germany, Paul volunteered to serve in Vietnam and was given new orders for a 1-year "Tour of Duty" in the central highlands of Vietnam, with the 4th Infantry Division in An Khe and also with the Americal 23rd Infantry Division in the Chu-Lai and Duc-Pho regions of Vietnam. 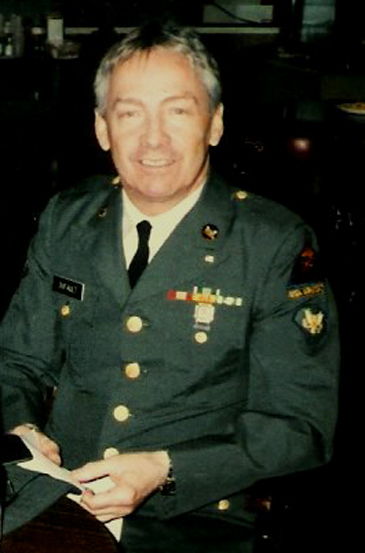 Paul was awarded the "US Army Commendation Medal", "Republic of Vietnam Service Medal", "Republic of Vietnam Campaign Medal (w/60)", and Republic of Vietnam Gallantry Cross Medal while serving in Vietnam. He was then transferred to the US mainland, to finish the remainder of a 3-year military commitment, at Fort Knox, Kentucky. In February 1972, Paul began to serve a 1-year enlistment in the "US Army National Guard of North Dakota" and was assigned to Fargo, ND (188th Eng.Co.) and then to Cavalier, ND (Det.2, 957th Eng.Co.) He was then put on a 2-year "Inactive Reserve" status. In 1975, following a total 6-year military commitment, he was honorably discharged from the Armed Forces of the United States of America. In 1982, Paul became a proud U.S. citizen in the United States District Court of Fargo, North Dakota. Paul's immense patriotic love for the U.S. has always been demonstrated by his action to support and defend the Constitution of the United States against all enemies, foreign and domestic. "I, Paul Dufault hereby declare, on oath, that I absolutely and entirely renounce and abjure all allegiance and fidelity to any foreign prince, potentate, state or sovereignty, of whom or which I have heretofore been a subject or citizen; that I will support and defend the Constitution and laws of the United States of America against all enemies, foreign and domestic; that I will bear true faith and allegiance to the same; that I will bear arms on behalf of the United States when required by the law; that I will perform noncombatant service in the armed forces of the United States when required by the law; that I will perform work of national importance under civilian direction when required by the law; and that I take this obligation freely without any mental reservation or purpose of evasion; so help me God." 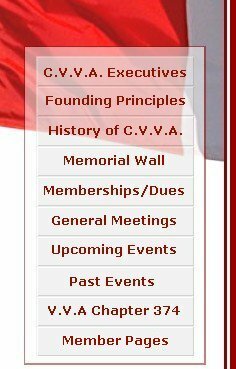 © 2014 cvva.ca All rights reserved.